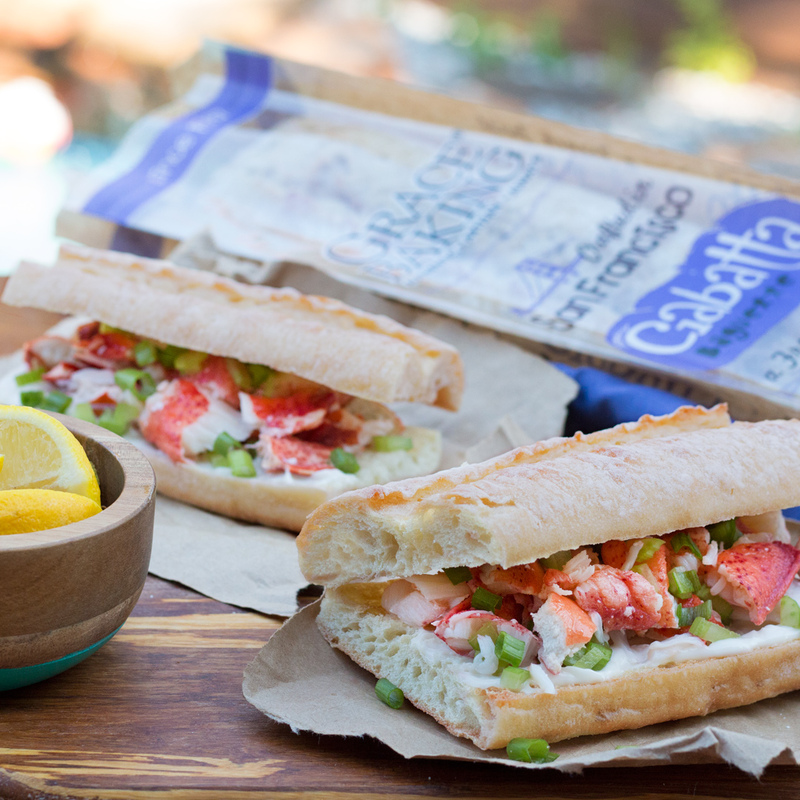 Years ago, during a vacation, on the coast of Maine, our master baker had a sudden craving for an ocean-fresh lobster roll. They’re a Maine specialty along with pine trees and really cold winters. Long-story-short upon being served he was horrified to find those succulent, (and we might add rather pricey) morsels of lobster laid out on a plain white roll obviously culled from the day-old bargain basket. From then on he vowed to find the perfect bread to accompany lobster. Enter our Ciabatta Baguette. Cut the baguette into 5-inch pieces then slice each in half lengthways to create a bottom and a lid. Melt butter and brush onto both sides of the bread. In a large skillet over medium heat, toast bread until golden brown. Set aside. In a mixing bowl, combine the lobster meat, lemon juice, celery, scallions and salt. Toss until well combined and set aside. Spread 2 tablespoons of mayo on the bases of each sandwich. Add lobster mix and top with lids. Enjoy!